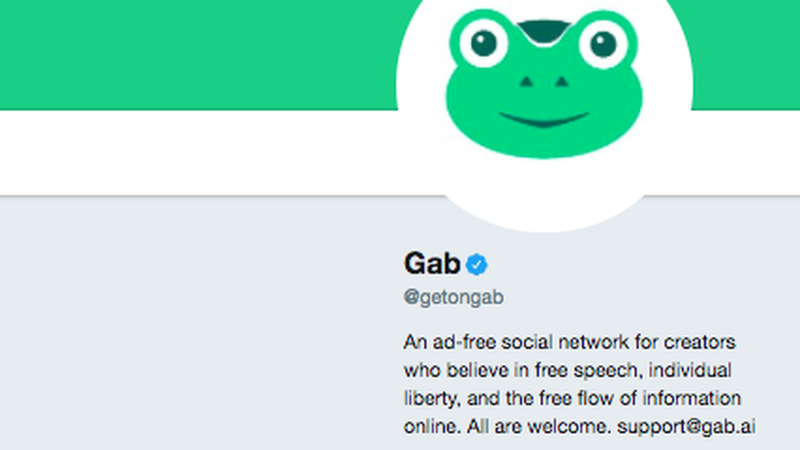 Gab, a so-called "free-speech social network" that's been rejected on app stores, has raised $1 million in crowdsourced funds amid a Silicon Valley crackdown on white nationalist content and accounts. The platform announced its fundraising milestone with a tweet that slammed "Silicon Valley elitist trash." The site claims to be politically neutral, but was started by a pro-Trump Silicon Valley executive, according to Venture Beat. Its avatar is a green frog that resembles the frog "Pepe" that is a symbol of the alt-right movement. Why it matters: The alt-right movement in the U.S. has been leveraging social media to organize. Large fundraising efforts for the platform shows that the movement's momentum hasn't slowed down, despite efforts to stamp it out.